The environmental change sweeping our world is happening at a rate far faster than previously imagined, concluded the Global Environmental Outlook (GEO-6) study carried out by United Nations Environment Programme (UNEP) this year. With a focus on protecting the environment during World Environment Day, 01 June 2016, the move towards the provision of renewable energy through the South African Renewable Energy Independent Power Producer Procurement (REIPPP) Programme has been lauded for assisting in the reversion of the worst impacts of climate change, as recognised by the UNEP. According to Paschal Phelan, Chairman of Solar Capital, renewable energy in general, and solar power specifically, allows for a reduction in the reliance on fossil fuels – while also providing a far superior option in terms of protecting the environment. “The production of solar energy has minimal CO² emissions, little water usage, is inexhaustible, and it is safe,” says Paschal Phelan. “Investing in solar power makes sense. It is the way the world is moving and South Africa is fast becoming a leading force in renewable energy programmes,” says Paschal Phelan. 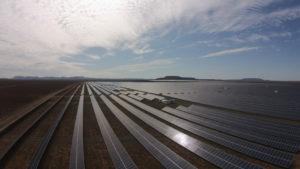 As the lead member of one of the preferred bidders in the REIPPP Programme, Solar Capital was given the opportunity to develop the largest solar farm in the Africa, the Middle East and the Southern Hemisphere which was launched in De Aar, Northern Cape in March 2016. “Solar power not only needs to be a priority locally in South Africa, but also the world. With increased pressures to reverse the effects of climate change, it is imperative the we focus our efforts on developing and improving renewable energy sources,” concludes Paschal Phelan. I completely agree that renewable energy is the way forward. Go Solar Capital! Paschal Phelan, thank you for this insightful article!